Hello, everyone! This is the start of my build thread for my 240 wagon project. 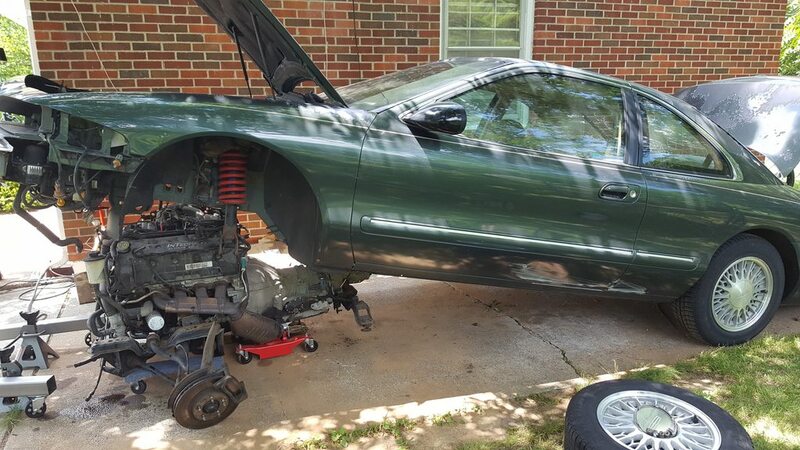 I am swapping in the engine and transmission from a Lincoln Mark VIII. 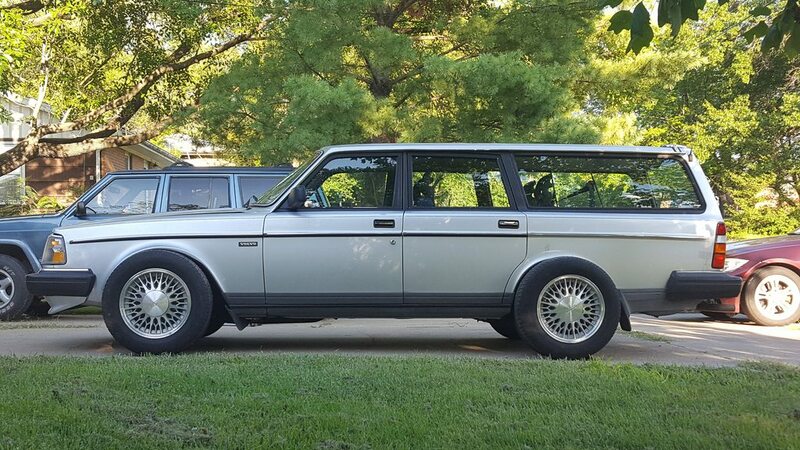 My goal for this project is to create a V8 wagon that can be used comfortably and reliably as a daily driver. I'm not looking to make crazy power. I'm looking to use the engine and trans as is with minimum modification. Stock out of the Mark VIII, the engine is good for 280 horsepower. Not sure what that translates to at the wheels. Transmission is a 4 speed automatic (4R70W). Why am I doing this? My first car was a Mark VIII and I owned it for almost a decade. The car was getting worn out and I was losing interest in it, but I loved and still do love the engine. The 1993 Lincoln Mark VIII was the debut application of the Ford 4.6L 32V DOHC Modular V8. I joke that this is a period appropriate swap since the last year of the 240 is 1993. It's my favorite sounding engine to this day and I think it would be awesome to have in a 240. I flew out to North Carolina to find this clean, rust free example for the swap. 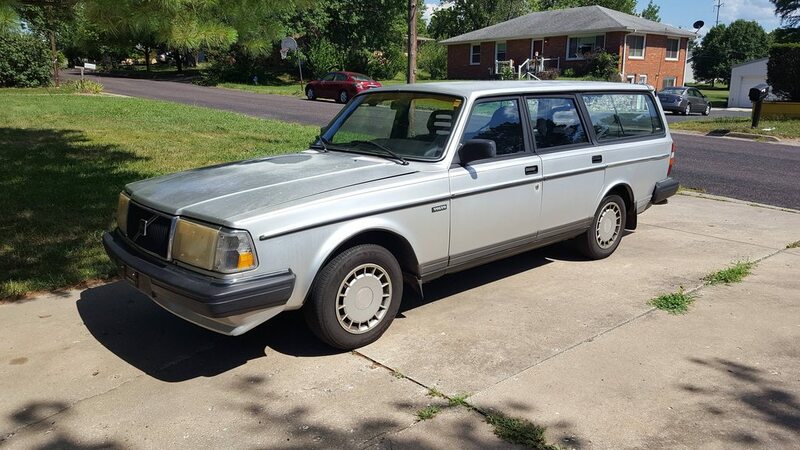 I came across it on Craigslist - a silver 1990 240 DL being sold by the second owner. The paint is rough and there are damaged interior pieces here and there, but nothing abnormal for a car of this age and mileage. It came with the original window sticker and original 1990 registration cards! I drove the car home with no issues despite having no cruise control or air conditioning. Still, pretty awesome for a 28 year old 275k mile car! It almost makes me feel bad for what I'm about to do...so I'm trying to drive it as much as I can before I pull the engine. I've already put 2.5k miles on it since I bought it. But before I did that, a friend of mind sold me a beater 1998 Mark VIII with a healthy engine and trans with 114k miles. We pulled them out as shown. Meanwhile I've been tearing into the Mark VIII and removing wire harnesses so I have them ready. I've also purchased a bunch of gaskets for the V8 that I'll replace before pulling the 240 engine and trans. I have a few resources on here that I will be referring to as I go through this build. I'm pretty excited to really get started! Wow thats a behemoth! Really interested how this is gonna turn out. I’m guessing you want to keep that silent push in the back feeling as well with full exhaust and stuff? Probably only the second Mark VIII motor done in a Volvo. Cool project! Are you keeping engine management and transmission stock from the Lincoln donor? We should probably compare notes about motor mounts, oil pans, and brake boosters. 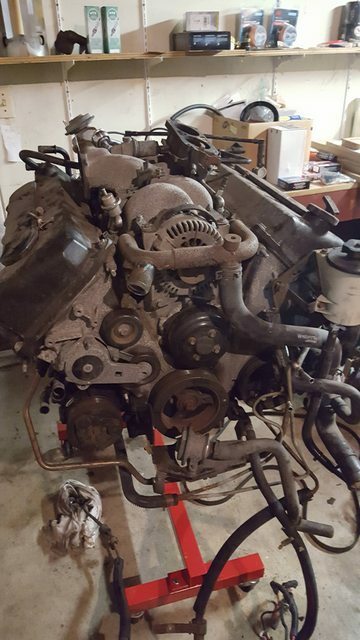 I'm installing a 2005 3-valve 4.6 in a 245 as well. I think the blocks are essentially interchangeable, for mounting purposes anyway. I will be designing motor mounts in the next few weeks. I'd be happy to share that with you or split the cost of making some laser-cut weld together mounts, if we can find a common design that works for both cars. Yup, it's pretty big! Good 'ol DOHC taking up all that space on the heads. For exhaust, I have manifolds and the cat/H-pipe assembly pulled off of a Mustang Mach 1. The parts are basically brand new. 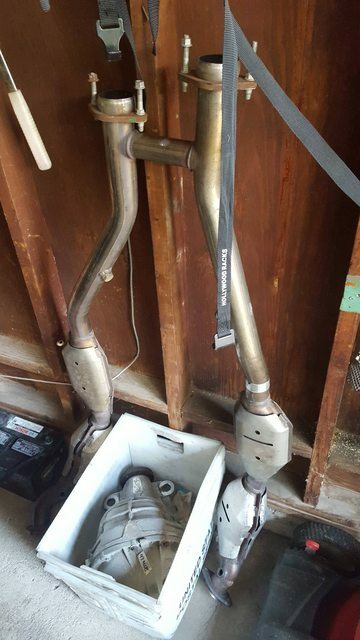 After that, I'm thinking continuing the true dual exhaust with some magnaflow mufflers. I haven't really decided yet. I don't want it to be too loud. 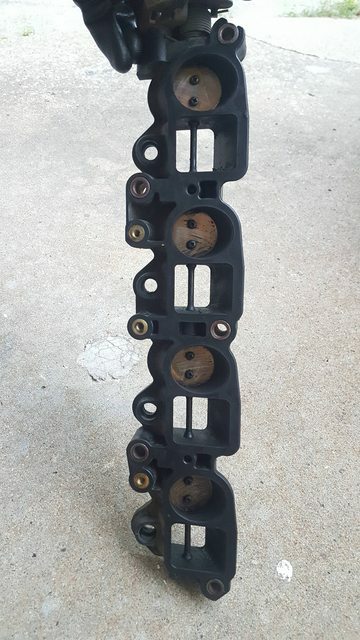 No good pics of the manifolds for now, but they hug the engine much better than the stock Mark VIII manifold you see on the driver side of the engine in the picture above. Duder, your thread is awesome! Though you're going much farther than me in terms of mods and performance goals, it makes me feel great to know I'm doing something similar in parallel with someone. Yes, I'm using Mark VIII everything. 98 is a great (and the last) model year for the Mark VIII because it has a better 4R70W compared to other years, and it has coil on plug ignition with OBDII engine management, compared to the earlier coil pack OBDI cars. But you probably knew that. For motor mounts, I'm trying to do some googling here to see if the 3v and 4v engines use the same mounts. I'll try a little harder later - it's getting late here and it's honestly quite difficult to sort through all the nonsense you find on the Mustang forums...lol. Though I think the design from the 302 swap thread I mentioned in the first post would be a great place to start. And if we do find that a common design is possible for us, yes, I'd be willing to work with you on that. 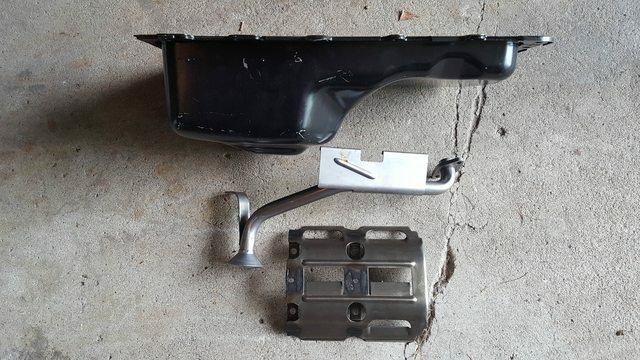 Oil pans, I have my used Mark VIII oil pan and a new Mustang oil pan to choose from. I haven't looked very closely at them just yet but I will take some pics. I have not had the time that you have to truly study the engine bay. My wagon is still running! Brake booster, obviously that monster of a vacuum can isn't going to work for us. I was planning on using hydroboost out of a mustang just like the old thread I referenced in the first post. I liked how they were able to use an adapter plate to mate the 240 master cylinder to the Mustang hydroboost unit. I also have a power steering pump from a Mustang so I think I should be able to buy the lines and make something work. Some comments after reading your thread so far. I too will be making pretty slow progress on my car. My plan for now is to finish gutting the wire harnesses from the Mark VIII, refresh the engine with gaskets and what have you, then look at removing the B230 from my 240 and go from there. I also must have air conditioning on my car, so let's work together on how to go about making that happen with our Ford compressors! Rad; thanks for the reply. I'll be off the grid for the next week but will get back to you shortly after regarding mounts. 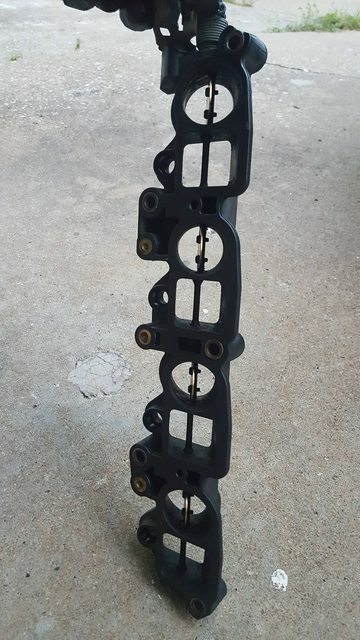 I thought the blocks were all the same in terms of bolt patterns for mounts and bellhousing, but could be wrong. I'm looking at both SN95 Mustang and Astro van hydrooost units as options. Definitely excited to see this project progress. Progress has been pretty slow here between traveling for work and traveling for leisure, but nonetheless, there has been progress. My '99 Jeep Cherokee has been taking time away from this as well. It's my wife's daily, so it must run and take priority over the 240 when it needs work. It had a cracked exhaust manifold, so instead of buying a new one, I welded up the cracks on my existing manifold. Anyways, this isn't a Jeep forum...but as I type this I'm wondering to myself, has anyone ever swapped a Jeep 4.0 inline 6 into a 240? It would be almost as slow as stock...but with some extra pep in the city! 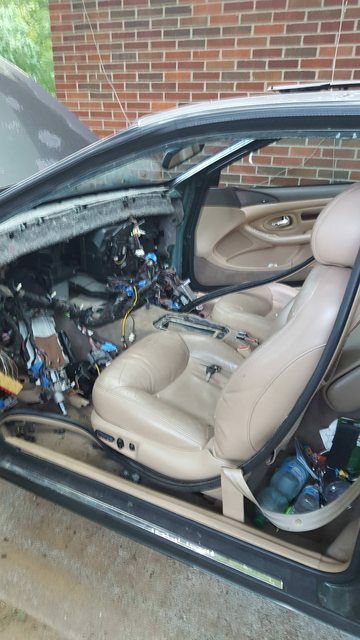 I've basically gutted the Mark VIII of the wire harnesses I'll need from the engine bay and instrument panel. I've also begun refreshing my 114k mile daily driven engine. 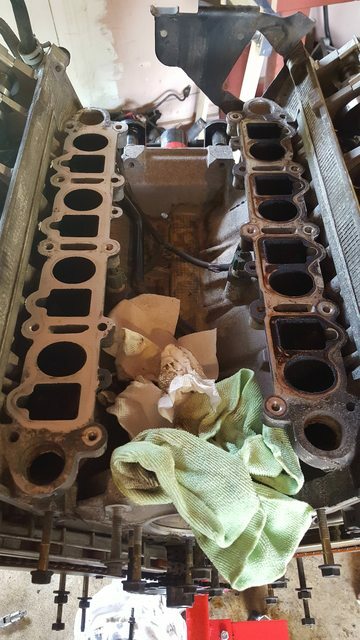 I was happy to pull the driver side valve cover to find a very clean cylinder head. 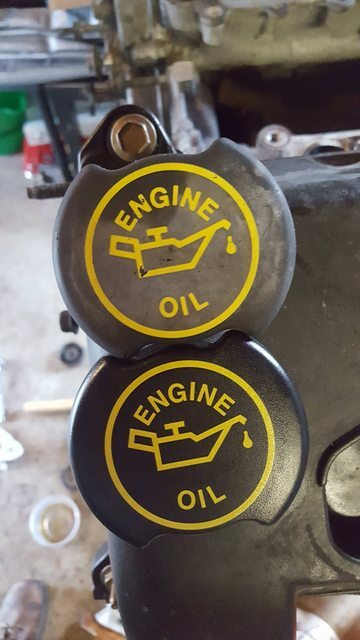 Normally with these engines, you can tell if the oil has been changed regularly just by looking at the color of the metal on the driver side head. The passenger side head gets cooled a little better and doesn't have a PCV valve, so it won't take on color quite as badly. I haven't gotten to pulling that one yet, but I suspect it will be nearly silver. I wanted to share one reason I was drawn to this particular wagon. 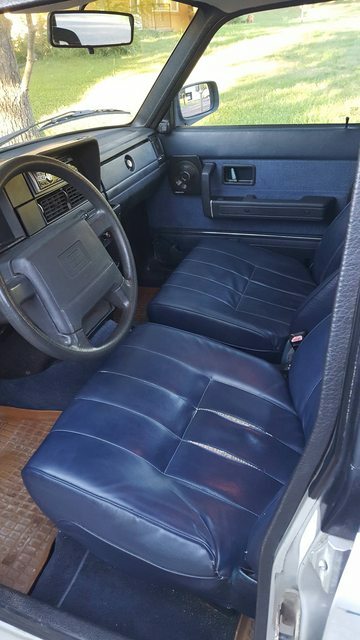 The interior, for a 278k mile car, is in really nice shape! If I could change anything, I'd want to revert back to the original CR-712 head unit and use my old cassette adapter that I used in my Lincoln. I want this car to look bone stock inside and out when it's done, with the exception of two exhaust pipes coming out of the back. If anyone has one, let me know, even if it's broken. One of my other hobbies is vintage audio repair and restoration, so I might be able to fix one. 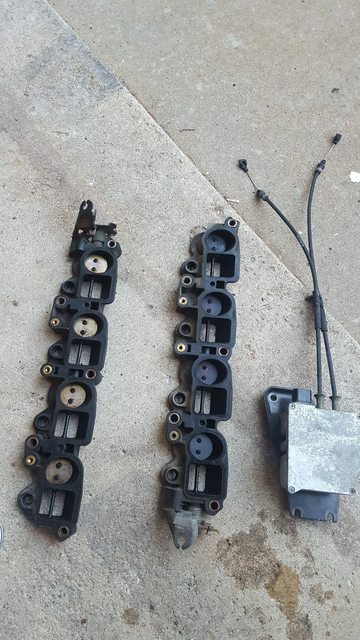 However, I have not researched why these head units fail so I don't know if they're truly worth fixing or not, yet. 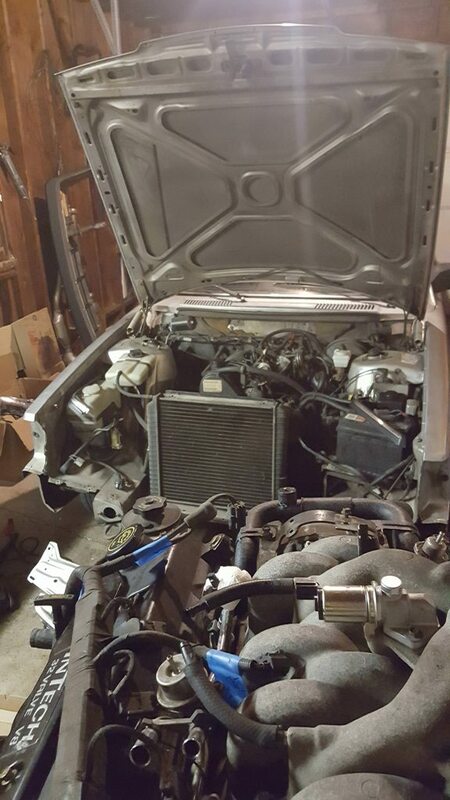 I'm hoping to get my 240's engine pulled in mid-September. It will be for sale once it's out of the car. Meanwhile, I plan to take it on a few more road trips before that depending on how hot it is. Driving it back from North Carolina to Missouri with no AC was brutal! Made it to about here yesterday. 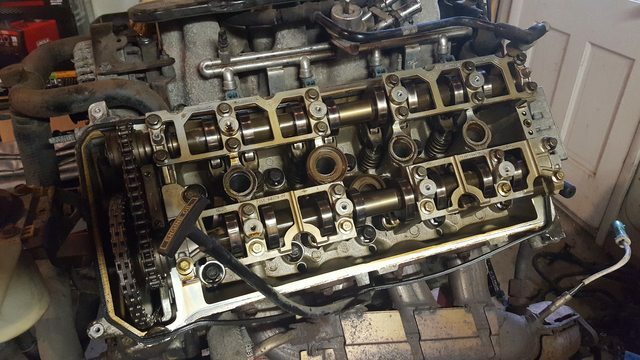 I've basically stripped the engine of anything requiring a new gasket except for the heads. 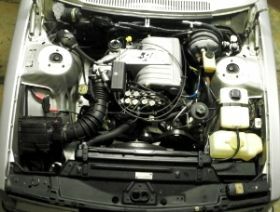 This engine is so clean! nice interior! very clean seats. my girlfriend dailys a 99 jeep xj that was my first car. had it for a long time. just changed the whole front end basically, steering linkages and control arms. now the death wobble is real! ive thought about putting a redblock in the jeep....the jeep stock is about 190 hp. less than that to the wheels. stock turbo at like 10psi will probably do the same. Nice! Front end on ours is just fine right now - no death wobble here. However, next oil change, I am going to do the oil pan gasket and rear main seal. It's leaking oil all over my driveway and I'm getting tired of it. It also needs a new A/C compressor. This one suddenly started making a very loud knocking noise and I fear it is on its way out. 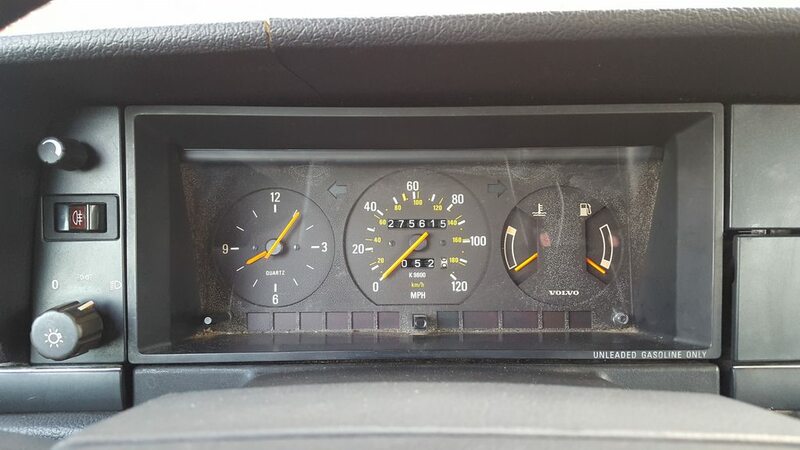 It will be good practice for me having never changed a compressor before so when this Volvo is ready for A/C, I'll have half a clue what I'm doing. More steady progress here. 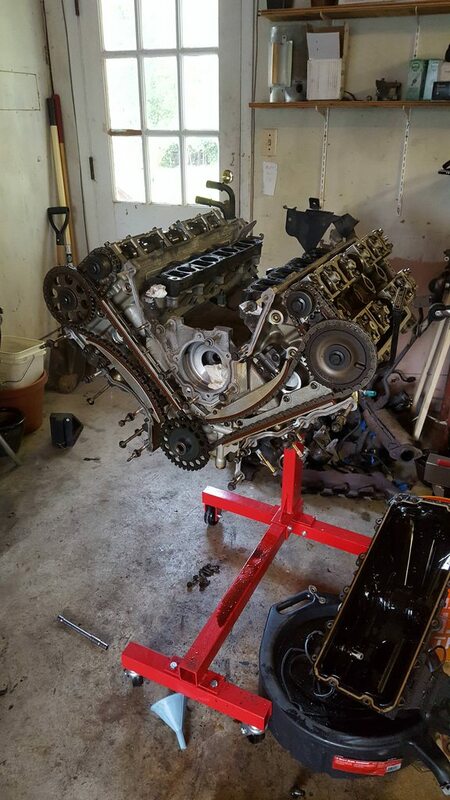 Engine is a little over half way there at this point. Once I got everything stripped, the first thing I did was get the new Mustang oil pan and pickup tube ready. 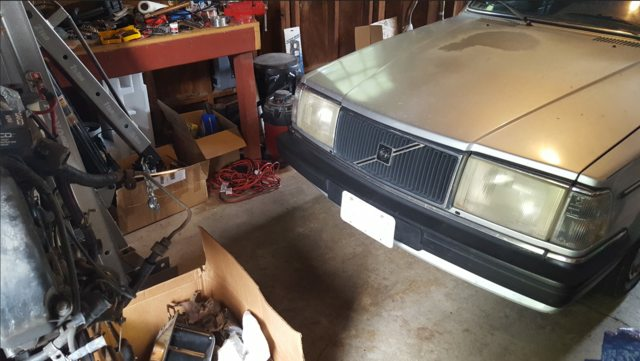 The Mark VIII oil pan is very shallow where it would sit over the steering rack, but my pan was a little rusty for my taste. It also has this extra tank off to the passenger side that I anticipate will be getting in my way. Also pictured is a Mustang windage tray that I did not end up installing. Turns out you need some studs that replace some bolts on the Mark VIII engines which don't come with a windage tray. I did not want to hunt those down, and since I'm not going for big power, I left it alone. 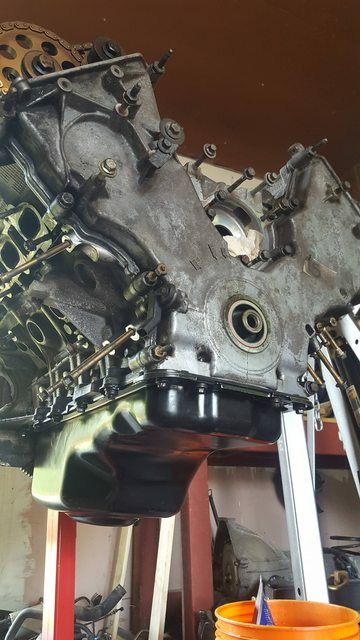 This engine is clean for what it is, but of course there's still going to be carbon buildup in gasket areas. This is the area where the IMRC's sit with one side cleaned up. What the hell is an IMRC? Intake Manifold Runner Control. The coolest part of the engine, in my opinion. It's a binary computer controlled, electronically actuated, cable driven series of butterfly valves. Under lower RPM driving conditions, they stay closed, essentially making the engine SOHC and increasing efficiency. At wide open throttle or higher engine RPM's, the PCM tells the actuator to open up the IMRC's allowing the second set of intake valves to move air, turning the engine into a true DOHC engine. The valve covers were re-installed with shiny new hardware and a brand new oil cap. I was surprised to find an exact replacement Motorcraft oil cap on Rock Auto and I am way more excited about it than I should be. Here is current state with the manifold reinstalled and valve covers in place. Not pictured are new spark plugs and coil packs as well. 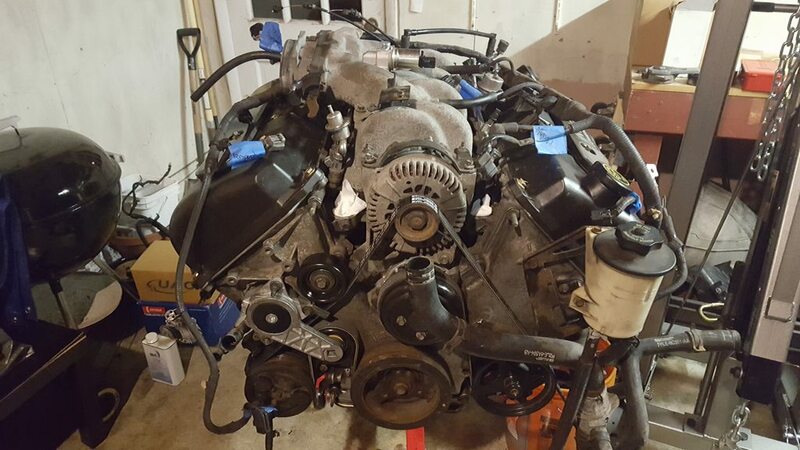 Prior to finding the 302 that was used I had a JY pull a 4.6L engine to purchase. Sitting on the floor it was questionable that it would fit under the hood. After some measurements, I made the decision that the bottom of the pan to top of the intake was greater than available space in the Volvo. It is encouraging that someone has done this before and I haven't read through that thread for details. The very short forward section of the oil pictured might be the answer. I don't remember the pan on the trial engine and that may have been the issue. 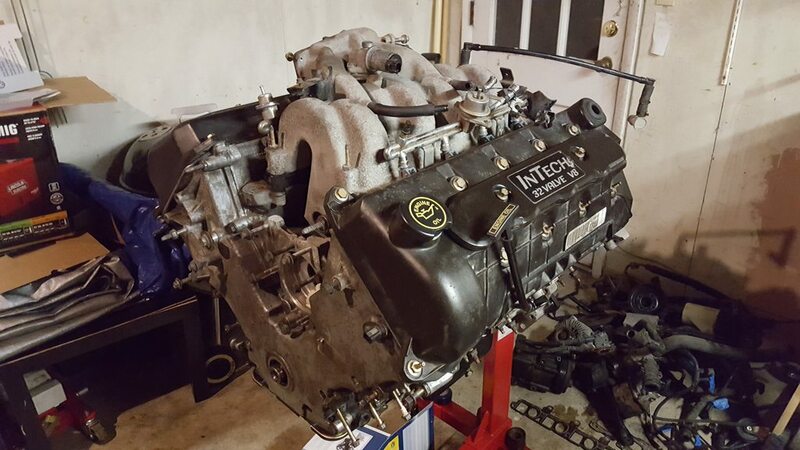 Did you see the other 4.6L swap on this forum? Yes! See the earlier posts in the thread - I've been talking with him outside of the forum regarding engine mounts. 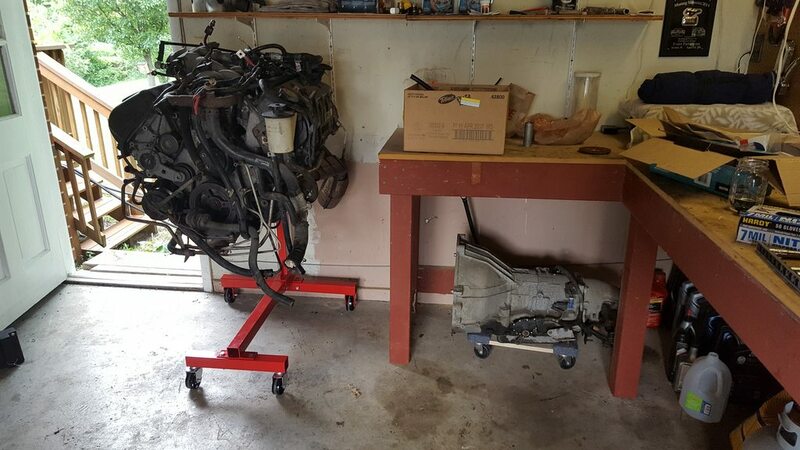 Soon I will be able to test fit my engine. For now, my wagon is my daily until the 4.6 is all set. Last night I put all of the pulleys and accessories back on. Also, TestPoint, I linked your swap manual as a reference in my initial post. I've read through most of it and it is one of the posts that helped push me off the edge and dive into this project. I don't think my 3-valve 4.6 is going to fit under a stock hood without modification, even after increasing vertical room by spacing the crossmember 1/2" or so. I've accepted the fact that I'll need a bump in my hood for the throttle bodies and front of the intake manifold at the least. The 4V engine might actually be a better fit since the throttle is further back on the intake manifold which means more vertical space as the hood line angles upwards. 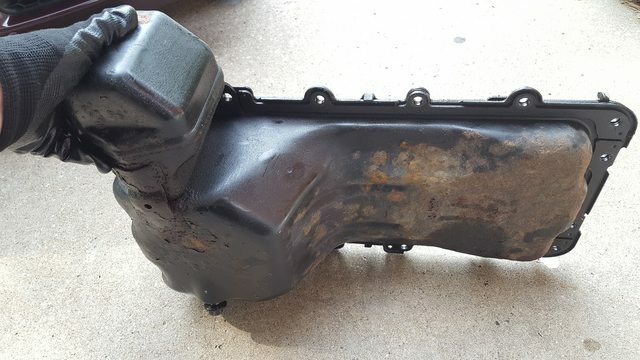 Nice job on the progress; your Mustang oil pan looks quite similar to mine. What model year is it from? Thanks! Pan is from a 03-04 Mach 1 Mustang. Not sure how well my 4V is going to fit with the Gen 2 Mark VIII intake manifold. The throttle body sits up there pretty high. My plan B is to look into sourcing a Gen 1 Mark VIII intake manifold which has the throttle body sitting flat at the rear of the engine. I wish I could report that I started pulling the wagon's engine last weekend, but instead, our '99 Jeep Cherokee, yet again, took priority over this project. I had to do the oil pan gasket and rear main seal because I got tired of the oil spots in the driveway and garage. It's not a job I would recommend doing - very dirty and very tedious...to say the least. Again, not a Jeep forum. But, my driveway should be much cleaner now, and I won't need to worry about it as I work on this. So, anyways, a brief update: engine is mostly refreshed and ready for test fitting. All I really have left is getting the coolant crossover tube installed and putting on the exhaust manifolds. That means...it's time to start pulling the Volvo's engine and transmission. 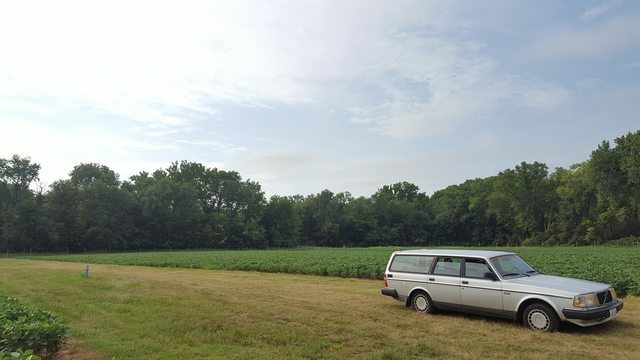 I do want to take this post to praise and recognize the previous owner (and the original owner before them) for the fantastic maintenance and care they've given to this wagon in the time they owned it. I wish I could have taken it to 300k miles on the stock drivetrain, but I guess I'll just have to take it there with the 4.6. I don't see too much wrong with that. I had to make sure I take one picture before the wagon becomes garage-ridden. These are "snowflake" wheels off of my donor Mark VIII. It's about the only wheel that came on a Mark VIII that would look good on a Volvo 240 in my opinion. It's also one of the ugliest wheels that came on a Mark VIII. They look very similar to "240 Classic" wheels. The best part? 5x108 bolt pattern just like the 240! I tried putting them on the car, but as I suspected would happen, they would not fit. The offsets differ by about 20mm, they're 16" wheels vs 14", and they're wider. So the picture I took is simply of the wheels sitting in front of the car. When I stepped back and took a look, I couldn't believe it. I love the way these wheels look on this car! There might be some spacers and low profile tires in my future. You are going to need some 40 series tires to even come close. My 15", 65 series rub on bumps. Those are interesting. They're like halfway reminiscent of spoked wheels and half mesh. Should look pretty classy on there.